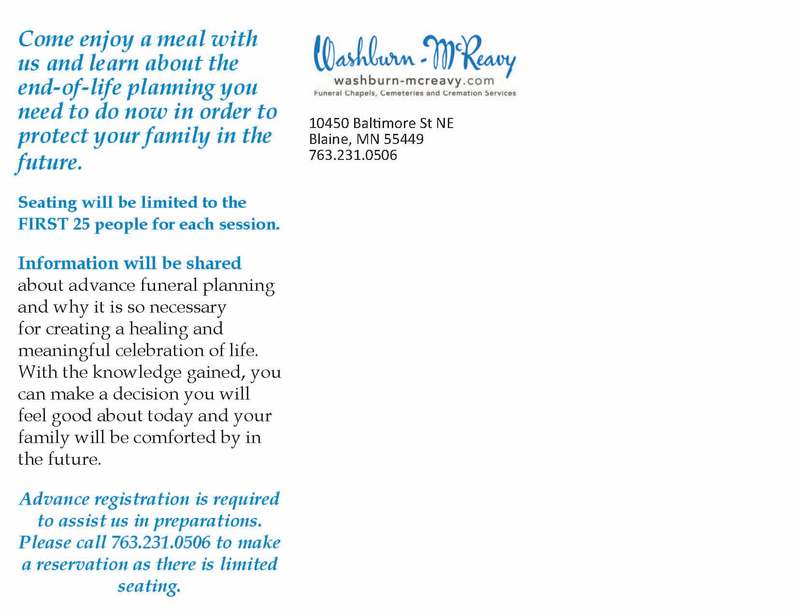 Enjoy a meal with us & learn about the end of life planning you need to do now at this free workshop and get answers to your questions. 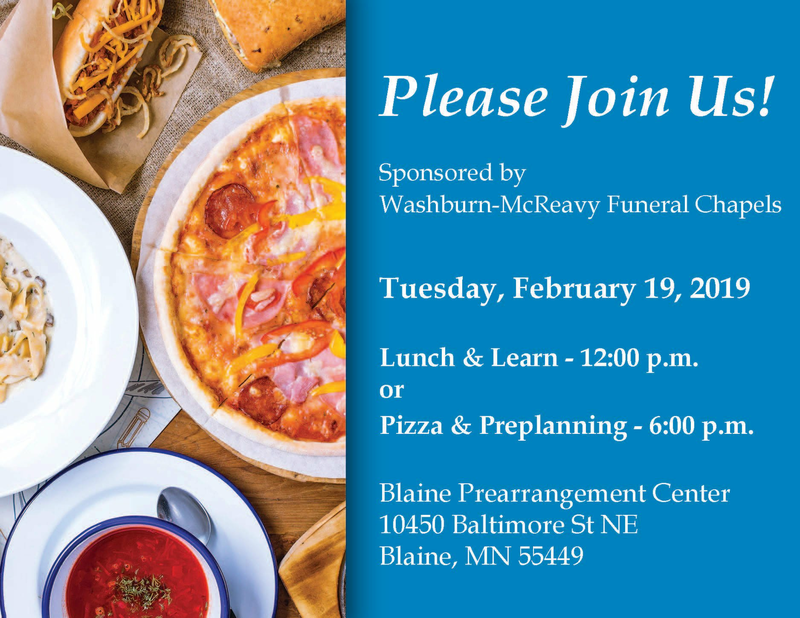 There will a door prize drawing and you will receive a free information packet to take home. Advance registration is required to assist us in preparations.